The Commander of the Republic of Fiji Military Forces, Brigadier-General Mosese Tikoitoga, and his miltary delegation has arrived at the United Nations Interim Force in Lebanon (UNIFIL). RFMF Land Force Commander and spokesperson, Colonel Sitiveni Qiliho, yesterday, confirmed this. At the UNIFIL, they will meet the Fijian troops at UN Camp 2-45. They left for the UNIFIL from the United Arab Emirates (UAE) where they were guests of the UAE Armed Forces. 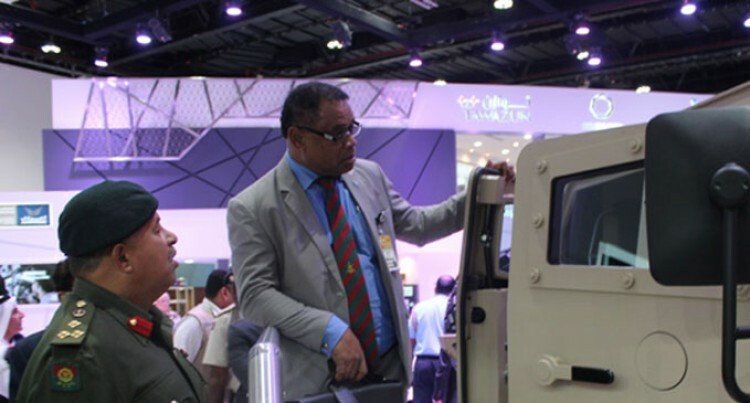 The Minister for Immigration, National Security and Defence, Timoci Natuva, was also at the International Defence Exhibition (IDEX) in UAE, leading the Fijian delegation. IDEX is the most strategically important tri-service defence exhibition in the world. It is the only international defence exhibition and conference in the Middle East and North Africa (MENA) region demonstrating the latest technology across land, sea and air sectors of defence. It is a unique platform to establish and strengthen relationships with government departments, businesses and armed forces throughout the region. The Commander and his delegation also had talks with the UAE Armed Forces after the IDEX. Their discussions centered on the current new site at Black Rock in Nadi for RFMF personnel to the Middle East, Humanitarian Assistance and Disaster Relief (HADR) and other important issues related to both the institutions. Accompanying the Commander are the Deputy Commander Brigadier-General Mohammed Aziz, director peacekeeping operations Commander Humphrey Tawake and director army legal services, Lieutenant Colonel Pacolo Luveni.